WillingToBeLucky.net: New IRON MAN 3 Poster!!! Guy Pierce!!! Another Iron Man 3 Poster has been released (via Empire)!!!! 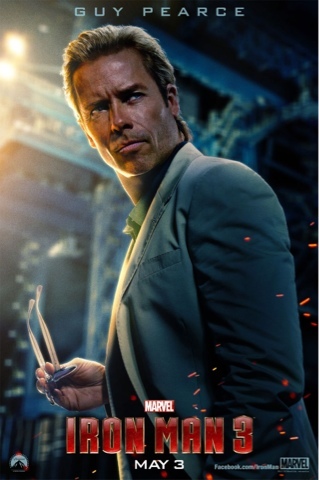 This one feature Guy Pierce's Aldrich Killian!